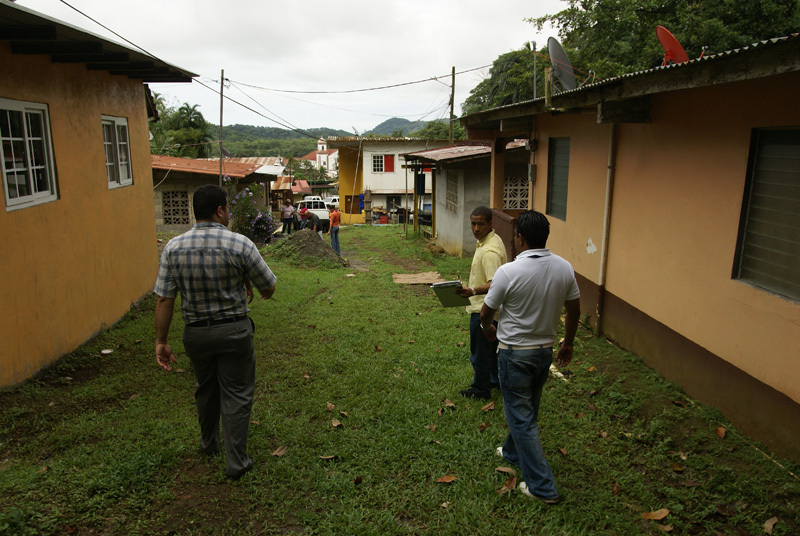 We will be working in the historic town of Portobelo to redesign and repair their existing sedimentation tank. While it is currently being used to supply a significant part of the community with water, it is full of mud and debris after a rain. This means that the tank is not doing its job. After closer inspection, we saw that all valves/mechanical components are completely rusted out and need to be replaced. We also noticed that the cleaner water is flowing into the creek (the waterfall in the photo) while the sediment is being piped into the town (bottom pipe in photo). We will also redesign the tank input to make it shut off in case of a flash flood. We will also add a chlorination module at the output to decrease the level of pathogens in the water. While not a perfect solution, this project will make a difference to the people who use the water every day. While speaking with the medical and educational professionals from Portobelo, we found out that the tank system failed as a result of the "tragedy of the commons" and no one took responsibility for the job. We will be working with the school to empower them to collect small water use fees in return for careful maintenance. Student groups will be designing additional projects, including improvements to the existing project and ways to promote water sanitation, proper waste disposal, and better hygiene in general.